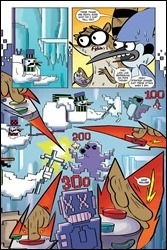 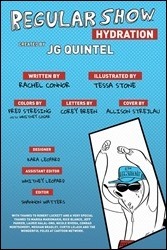 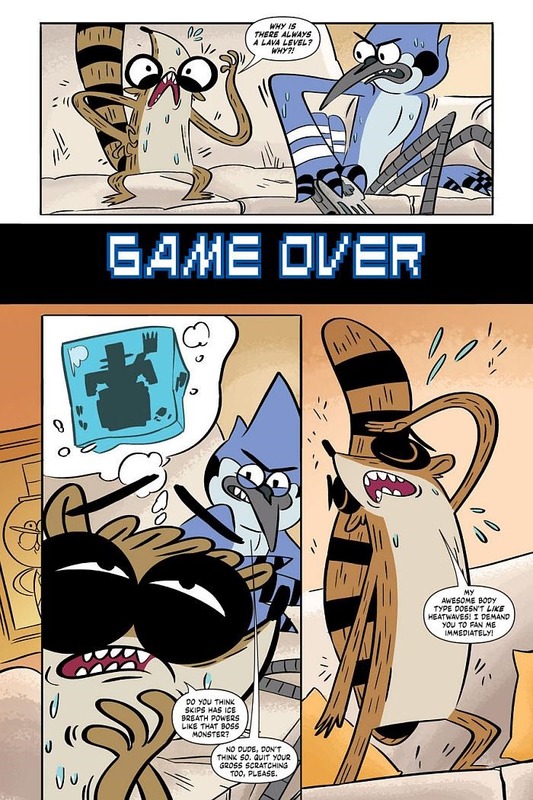 Here’s a preview of the very first Regular Show original graphic novel – Regular Show: Hydration by Rachel Connor & Tessa Stone, on sale September 10th, 2014 from BOOM! Studios. 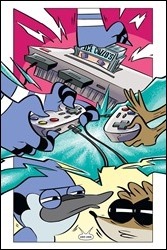 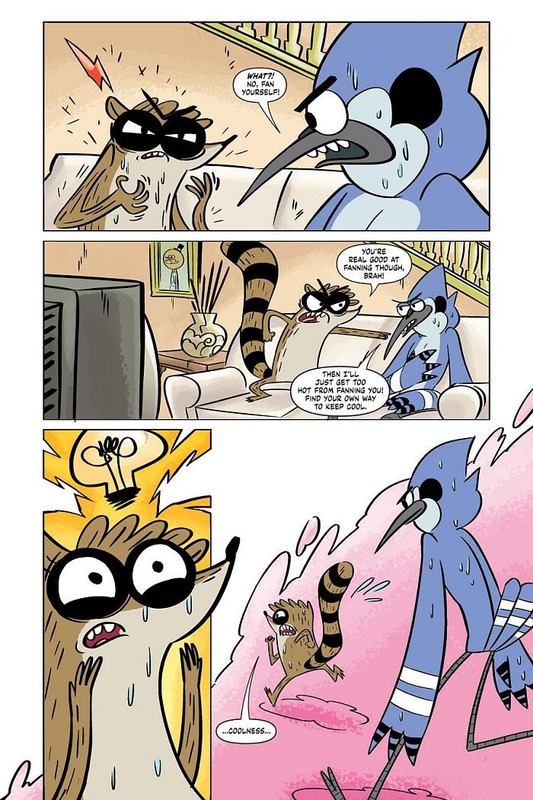 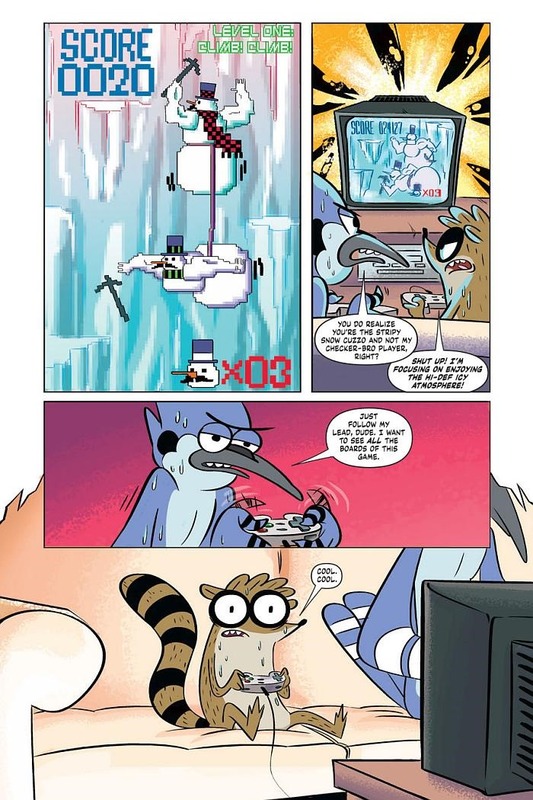 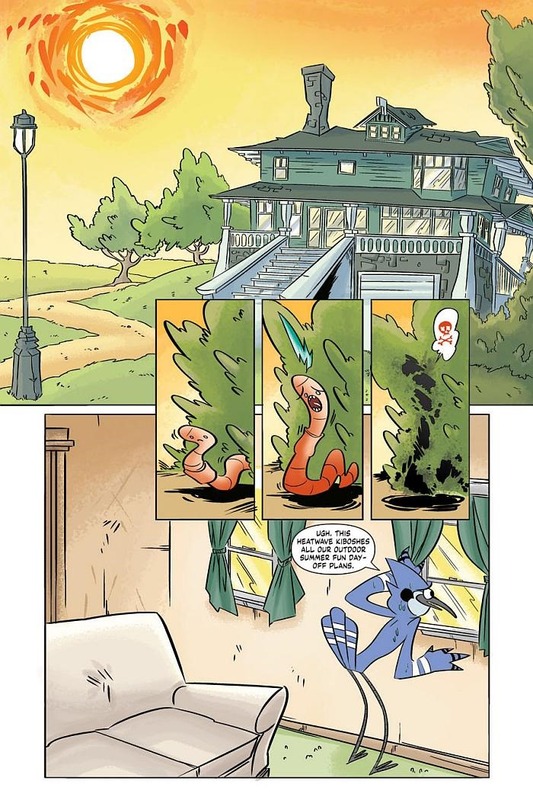 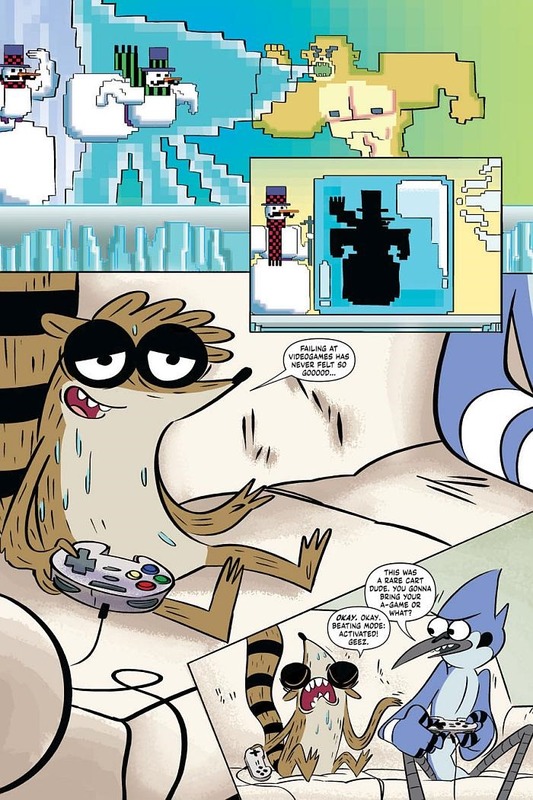 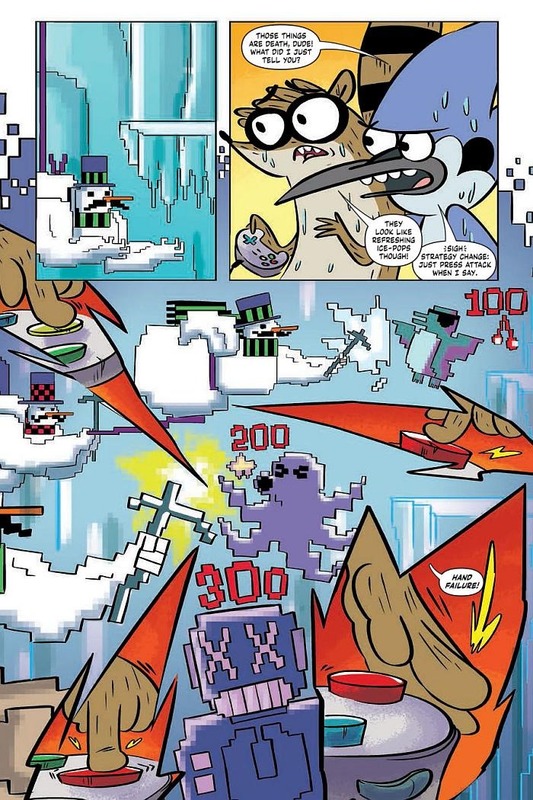 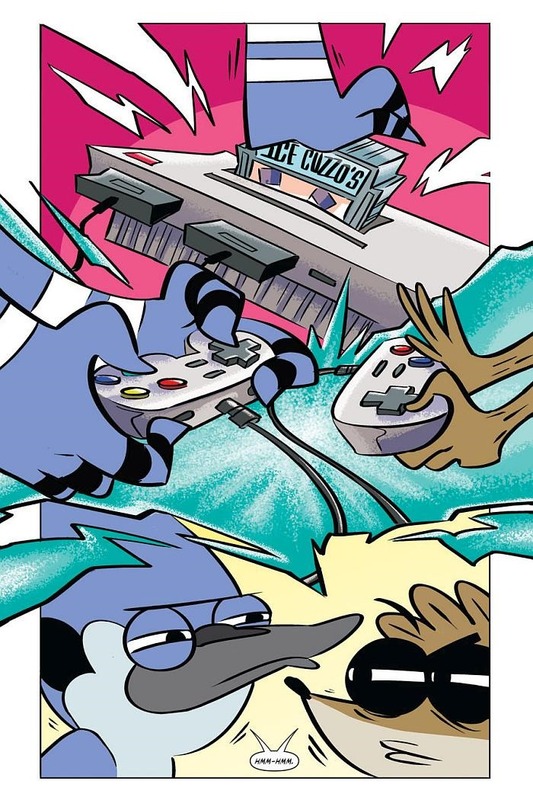 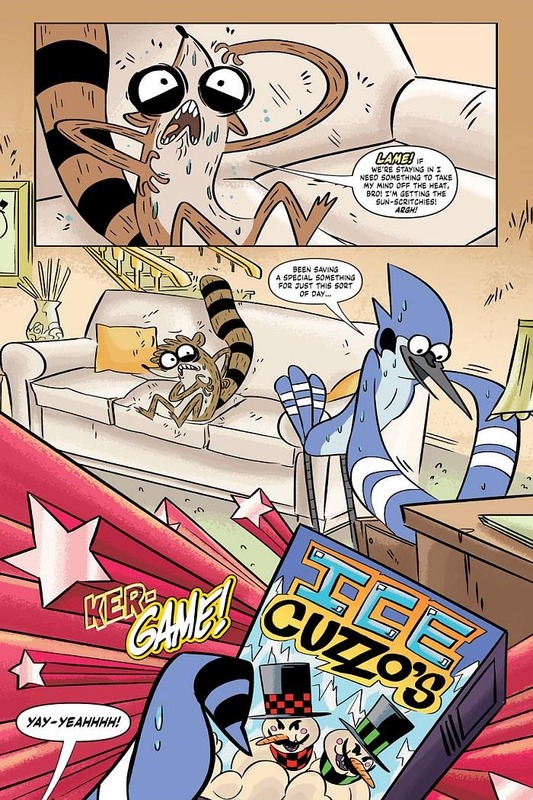 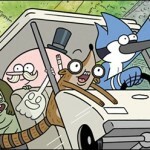 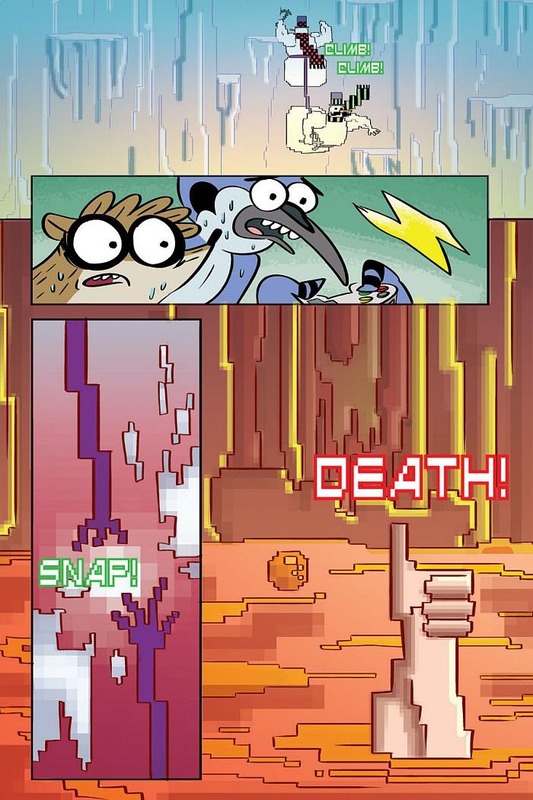 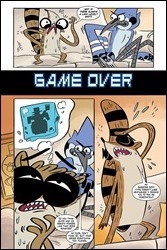 WHY WE LOVE IT: Mordecai and Rigby star in their very first original graphic novel for REGULAR SHOW—it’s a long-form story that will be like watching one of their TV episodes. 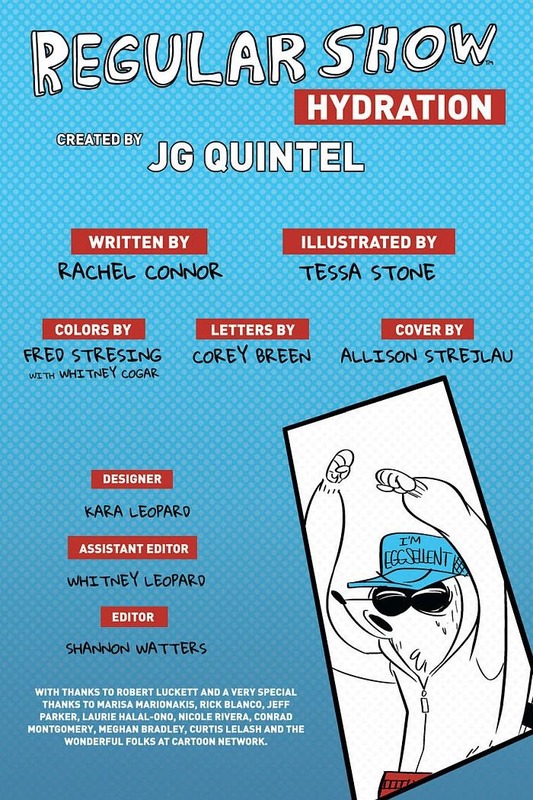 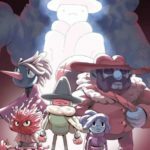 And we’re pretty excited about the team on this: Cartoon Network veteran Rachel Connor (Ed, Edd n Eddy) and Bravest Warriors artist Tessa Stone! 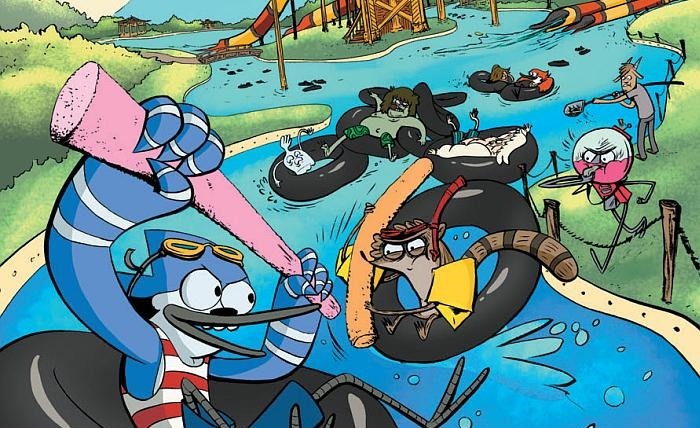 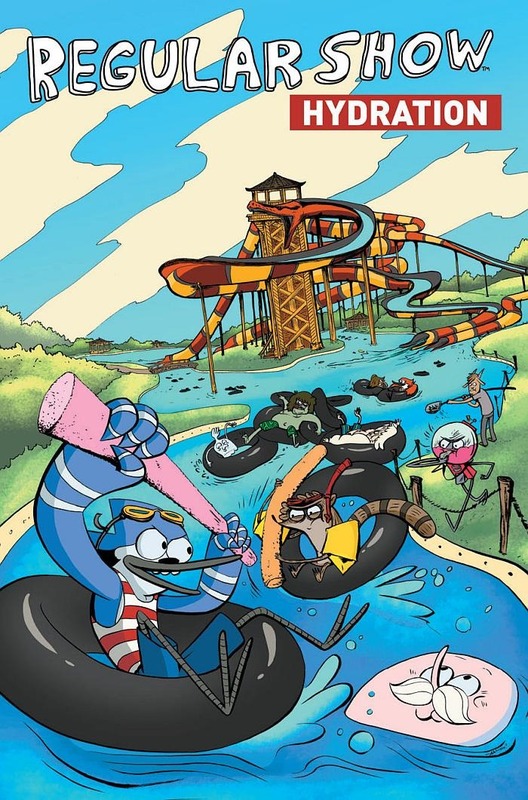 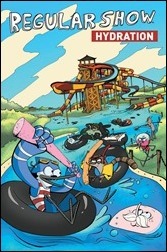 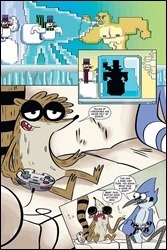 WHY YOU’LL LOVE IT: It’s another ridiculous adventure featuring the crazy antics of park employees Mordecai the blue jay and Rigby the raccoon as they try to beat the summer heat. 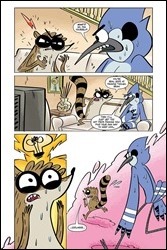 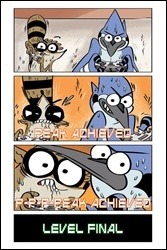 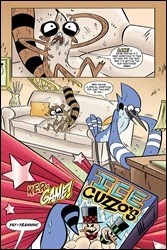 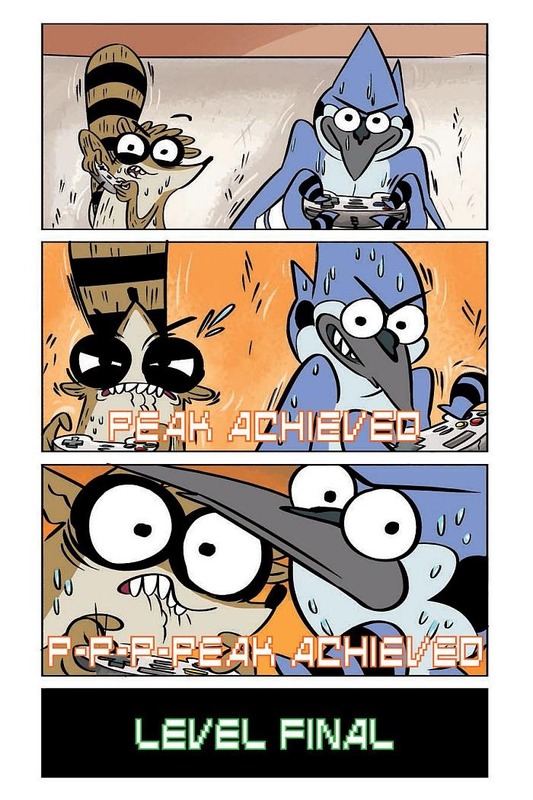 WHAT IT’S ABOUT: The summer is turning into a roast-fest and Mordecai and Rigby are desperate to find a way to cool down. But when a mystery pool suddenly appears and offers a chance to beat the heat, it’s only a matter of time before these two best bros find themselves in totally water-logged trouble.